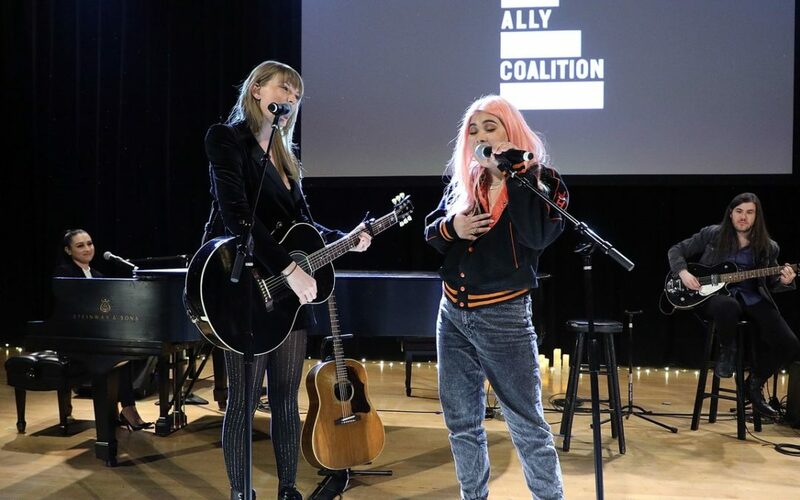 On December 5th Town Hall hosted The Ally Coalition’s Fifth Annual Talent Show, a night that channels the power of music and comedy toward equality. The evening raised over $200,000 and directly benefits organizations serving queer and trans youth, including New Alternatives for LGBTQ Youth in New York City. 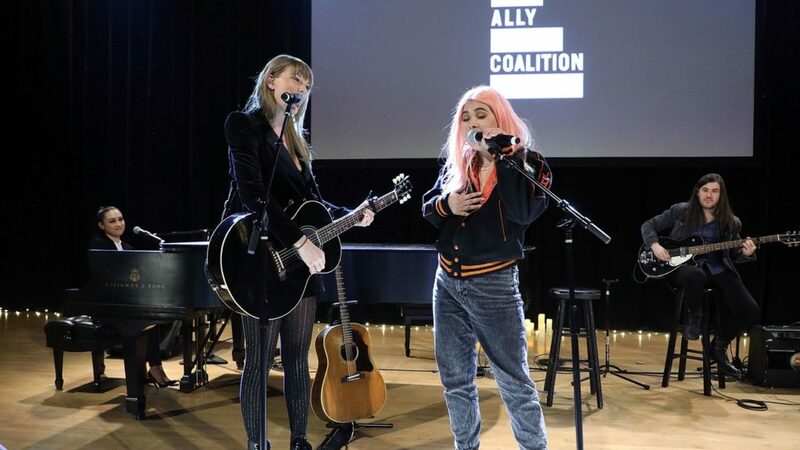 This year’s event featured performances from musicians Andrew Dost, Bleachers, Hayley Kiyoko, Lana Del Rey, Mitski, Regina Spektor, Rostam, with comedians Jacqueline Novak and Sasheer Zamata, and a special guest appearance by Taylor Swift. Talent Show receives promotional support from The Bowery Presents and is curated by The Ally Coalition co-founder and Grammy Award-Winning Artist, Jack Antonoff. Past performers have included The National, Lorde, Charli XCX, Carly Rae Jepsen, Sara Bareilles, Kacey Musgraves, Spoon, Shamir, amongst others.